Why use our merchant solution? Byteball for web merchants solution. Accept payments in Bytes for any goods or services you sell on the internet. Anonymous service: no registration needed. Multi-currencies input: BTC, USD, EUR... and 21 more! Easy implementation, nothing to install! Why use our full Byteball merchant solution? With our merchant solution your website will show a quick Byteball payment button similar to the well known Paypal button. It is a pure script implementation: nothing to install. In a minute you will be able to accept Byteball payments from mobile or desktop customers for any good or service you sell on the internet at a minimal cost and effort. The Byteball quick payment button embeds your unique order id, your Byteball merchant address and the amount to be paid by your customer. A backlink to our server from your checkout page and the quick payment button is displayed (refer to the "example.html" page on Github). 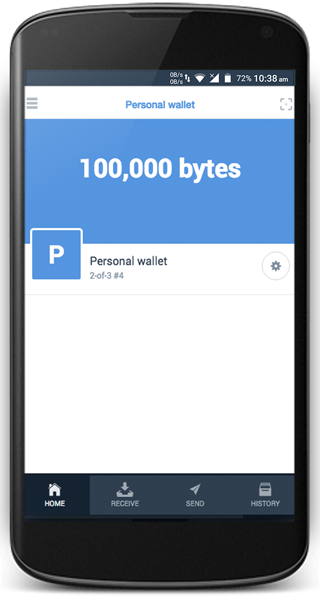 A click or a QR scan on the customer end and his Byteball wallet opens with the amount to be paid. Once the payment is confirmed by the network, we notify you (by a GET, a POST to your server or an email or even both, upon your choice) that we received the Bytes so that your can process your customer order on your end. 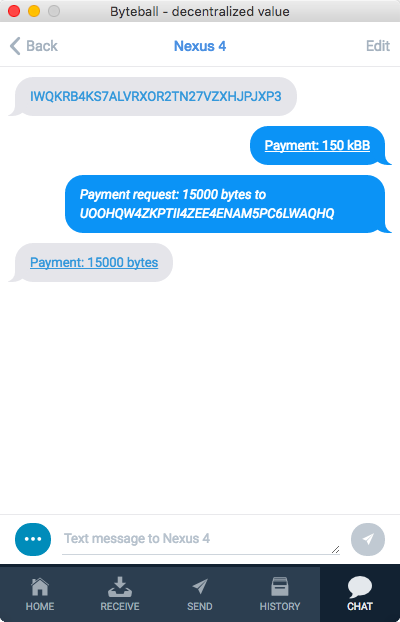 We immediatly send you the payment minus our commission (1000 Bytes + 0.9% fee). The wallet automatically opens and displays the amount to be paid. In one single click the customer sends the payment. Get paid in Bytes for goods or services you sell on the internet. Byteball for web merchants is the internet gateway between your website and the Byteball digital currency network. Byteball for web merchants automatically opens your customer wallet with the payment informations. Only a single click is needed from the customer. From desktop to mobile customers, Byteball for web merchants suits to all your merchant needs for near immediate payment. We are fully transparent to your customer. We do not record nothing except the payment informations. You remain the only trusted counterparty for your customer. The service is anonymous. Do you sell in BTC or fiat money? No problem! You pass the amount in your currency and we calculate exchange rate so that you receive the right amount of Bytes (we do not take commission on the exchange rate).